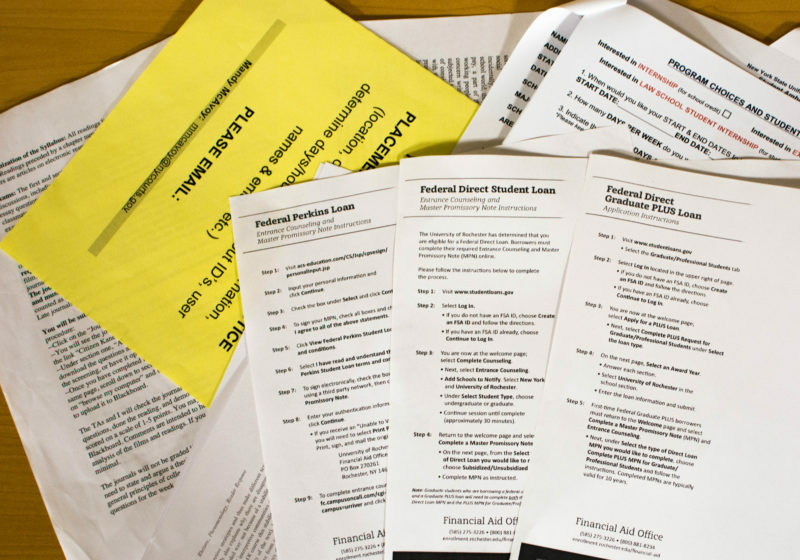 Many students get lost in the maze of financial aid. Others see theirs cut and transfer. When Josh Veronica decided to leave the University, it wasn’t an easy choice. But after a $9,000 reduction in his financial aid package, he will be attending his junior year classes, club meetings, and sports games at UB, rather than UR, about an hour away. And freshman year, it looked like he never would. The school gave him a generous financial aid package—one that made Rochester compete with the cost of a state school. Two years later, when he saw his junior year package, Veronica said, he just couldn’t afford to stay. He thinks the reason for the increase was a second job his mom had taken to support their family. “Rochester had squeezed us so tight, and working a few extra hours would help make ends meet,” he explained. Josh’s experience—the extra job, fears of taking out private loans, and his eventual decision to transfer to the State University of New York at Buffalo—suggests that UR’s theory of financial aid and students’ self-described experiences are sometimes at odds. The Campus Times spoke with nearly a dozen students—former and current—to understand financial aid in practice at the University. 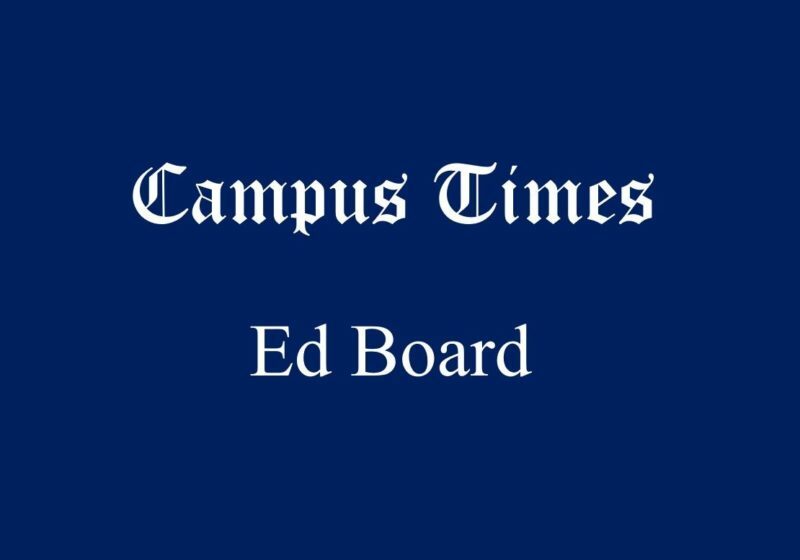 To get a sense of how financial aid at UR is supposed to work, from those who manage it, the Campus Times interviewed Jonathan Burdick, Dean of Admissions and Financial Aid, and Samantha Veeder, Assistant Dean of College Enrollment and Director of Financial Aid. Mark Kantrowitz, author of four bestselling books about scholarships and financial aid, and Kevin Fudge, Director of Consumer Advocacy and Ombudsman for American Student Assistance, a non-profit organization that helps students repay higher education loans, also offered their expertise. What should financial aid do? Burdick and Veeder were clear about how they believe financial aid works. The average UR need-based financial aid package was $40,149 per student—$6,392 of which was in federal loans and Federal Work Study awards—for the 2014-2015 academic year, according to Collegedata.com, a service of First Financial Bank. That means that, on average, UR financial aid recipients received a package that covered roughly 63 percent of the cost of attendance—and 100 percent of demonstrated need, according to Burdick—for the 2014-2015 academic year. “No one has ever had to leave the University because of the Financial Aid office,” Burdick said. In practice, Kantrowitz, the author, suggests things aren’t that simple. In other words, families should be able to pay the remaining balance, or can borrow externally if they so choose. The University assigns a maximum of $19,000 in subsidized federal loans to any one student for all four undergraduate years. Some students with “exceptional financial need,” as determined by the FAFSA, may qualify for Federal Perkins Loans, potentially hiking their debt over $19,000. Any additional loans—and, subsequently, any additional debt—would be taken out beyond the University’s financial aid package—in the school’s opinion, by choice. The Class of 2015 had, at graduation, an average debt of $30,873, with 58 percent of outgoing graduates taking out loans of any kind, according to Veeder. For many students, taking on that extra debt didn’t feel like a choice at all. Kevin Connell ‘14 is perhaps the highest profile recent alumnus to discuss these issues. With $93,000 of debt at graduation, he disputes that UR meets the full need of students. “Dean Burdick’s comments on that are totally out of touch with reality,” he said. Connell, who is about to release a book about the “college affordability crisis,” said his experience with loans and financial aid shows that the University’s claim is false. His family, he added, took out a Parent PLUS loan of over $70,000. Connell is not alone. Thirteen percent of students who received a financial aid package at UR in 2014 took out Parent PLUS Loans, according to Collegedata.com. Both Burdick and Connell are no strangers to this debate. They have argued more than once, in public meetings and online, about the College’s financial aid policy. In a later interview, Burdick used strong language to describe Connell and suggested that much of his public persona is designed to sell books, rather than tell the truth. Statistics paint a mixed picture about who is correct. Six percent of the entire student body took on private debt for the 2015-2016 school year, while 11 percent of 2015 graduates had outstanding private loans at graduation, with the average student borrowing $35,752. This suggests that students are taking on non–financial aid debt through their undergraduate years, as seniors are more likely to have taken out private and alternative loans. For many, the idea that students have to increasingly rely on private loans goes hand-in-hand with worries about frontloading—a practice in which schools give generous aid packages to freshman, and slash aid for upperclassmen. The alleged purpose is to extract more money when it’s harder for students to leave. Kantrowitz estimates that roughly one in every two schools utilize this practice. Nevertheless, nearly every student the Campus Times interviewed for this article mentioned frontloading, either by name or implication. For students like senior Josh McGough, who saw a $20,000 decrease in his most recent package, the feeling of falling victim to a bait-and-switch is visceral. The University’s two most recent classes offer at least some evidence in support of Burdick’s claim. The average aid package for students in the Class of 2020 is roughly $3,000 less than the average package for those in the Class of 2019. In a true frontloading situation, the numbers would be switched. In the end, claims of frontloading, taking on excessive debt, and other financial aid concerns revolve around a single question: How, exactly, does the Office of Financial Aid determine how much aid to give? To qualify for aid, students need to complete two forms: the Free Application for Federal Student Aid (FAFSA) and the College Scholarship Service (CSS) PROFILE. The FAFSA is used by colleges, as well as state and federal governments, to determine eligibility for aid. The CSS PROFILE, on the other hand, is used exclusively by colleges and universities. Both forms ask about a litany of family and personal finances. Circumstances like jobs, siblings in college, savings account balances, and more indicate a student’s level of need to the Office of Financial Aid. UR, which modifies the CSS PROFILE to fit its institutional needs, determines a student’s overall need independent of the FAFSA calculation. Because of differences between the two methods, “the PROFILE usually yields a harsher assessment of ability to pay than the FAFSA, resulting in less need-based aid from the college,” Kantrowitz said. One major difference: The expectation that students will earn significant—and increasing—income each year during school. The PROFILE assumes students will make anywhere from $3,000-6,000 every summer. That number increases with each passing year. Several students expressed dismay about the summer income expectation. With unpaid internships common, to earn thousands of dollars over break seems like fantasy to many of those the Campus Times interviewed. Another key difference Kantrowitz noted involves students with divorced parents. “The PROFILE counts not just income of the student’s custodial parent (and stepparent, if remarried), but also the non-custodial parent, when the student’s parents are divorced,” he said. Because this method accounts for more income, it will almost always lead to a harsher assessment of ability to pay than a method that ignores non-custodial parents. A final difference between the CSS PROFILE and the FAFSA involves calculating personal wealth. “PROFILE does not exclude certain assets, such as small businesses or the family home,” he said, “nor does it have a simplified needs test that disregards all assets.” This can result in a radically different assessment of need, when compared to the FAFSA calculation. For Burdick, these pieces—and others exclusive to the CSS PROFILE—are integral to the school’s determination of a family’s ability to pay, even if it means some applicants are assessed a lower need than they otherwise would have with the FAFSA. At its heart, an aid package is made up of two types of aid: grants and self-help. Once a student’s need is assessed, the University uses a proprietary equation to determine how much of each will go into a student’s package. Most of the $122 million dollar budget for the Office of Financial Aid is earmarked as grant money for students. Self-help, on the other hand, is comprised of government loans and Federal Work Study funding. A student’s eligibility for self-help is determined by the FAFSA. UR’s algorithm first looks at any University merit scholarships and outside scholarships a student has earned. Additional factors include living off campus and serving as a residential advisor (RA), both of which reduce costs and, subsequently, the need for aid. These may replace some of the self-help or grants that might be awarded otherwise. To students, this replacement can feel like punishment for working hard or saving diligently. The University will almost always maximize subsidized loans and other self-help funding in a student’s package before they consider eligibility for grants, which do not carry debt. Work-study grants—the non-loan portion of self-help—make students eligible for certain UR jobs, with employers paying 50 percent out of their own coffers and the rest from the Federal Work Study allotment to the University. Earning the full, expected Work-Study income in their aid packages proves frustrating for many students. Other students, including Veronica, cited relatively low wages and few hours for Work-Study employment as impediments to minimizing debt. UR students are allowed to work no more than 20 hours per week between all on-campus jobs during the regular academic year. On top of that, the Work-Study expectation is often only several thousand dollars, with a federal maximum of $7,000 per academic year. Students are expected to pay the balance required by their package, through Work-Study employment or other means, as necessary. The school asserts that, by the time they receive their aid packages, students and their families should be able to pay the balance without taking out more loans. Senior Mario Gambino tells a different story. Gambino attended UR his freshman year with a financial aid package of roughly $19,000 per semester. Of that, $6,500 was awarded in merit scholarships and the rest in grants and self-help. This had changed by the next year. Dean Burdick says that when family income increases—and, subsequently, their ability to pay—students should expect a decrease in aid. Gambino contends, however, that the income increase was vastly disproportionate to the decrease in aid that followed. His new package totaled slightly under $11,000, comprised solely of merit scholarships and loans. He spent only one more semester at the school, applying to more affordable schools while attending classes at UR. By second semester, he had transferred out. In many ways, Gambino’s dilemma was the archetypal experience that sparked the 2014 financial aid protests. Students held signs over Meliora Weekend that showed the debt they had accrued, and would take on later, due to what they described as insufficient financial aid. There is an appeals process for students who feel that their aid packages do not accurately represent their need, nearly always due to a change in their financial situation. A student seeking to appeal talks to their counselor, who presents the student’s case to a committee chaired by Veeder and comprised of all University financial aid counselors. Veeder has the swing vote in the case of a tie, but she insists that such cases are rare. Senior Samantha Leinert had success with an appeal her freshman year. Thomas Tavolara ‘T5 has successfully appealed for more aid each undergraduate year at UR, piling into the family car and driving to Rochester each summer. Senior Alex Wark, one of the leaders of the protests at UR, said he still does not believe the school meets need. And while Wark transferred to Binghamton University in 2015, his protest did have an effect. The school hired Veeder as the new Director of Financial Aid last February. Burdick attributed her hiring in no small part to the protest. With a relatively new director at the helm, the Office of Financial Aid is changing. Counselor retention rates have increased considerably, with only one departure in the last 18 months. Some need-assessment features of UR’s aid equation are being tweaked. Last year, student need was assessed by figuring that 70 percent of a family’s available funds would go toward the cost of attending UR, with the remaining 30 percent going toward putting a sibling through college. Now, the split is 60–40. Burdick promises a renewed focus on informing students about fluctuations their package will likely undergo through four years at the University. And this year will see the training of student financial aid representatives, who will work as liaisons between administrators and University undergraduates. Yet the stories of students like Gambino, Veronica, and Wark still stand athwart the core, full-needs-met argument of the school. All three say they wished staying was an option, but that they simply couldn’t afford to without taking out tens of thousands of dollars in loans. Gambino says he felt betrayed. Burdick and Veeder are powerful speakers and staunch defenders of the University’s financial aid policies. 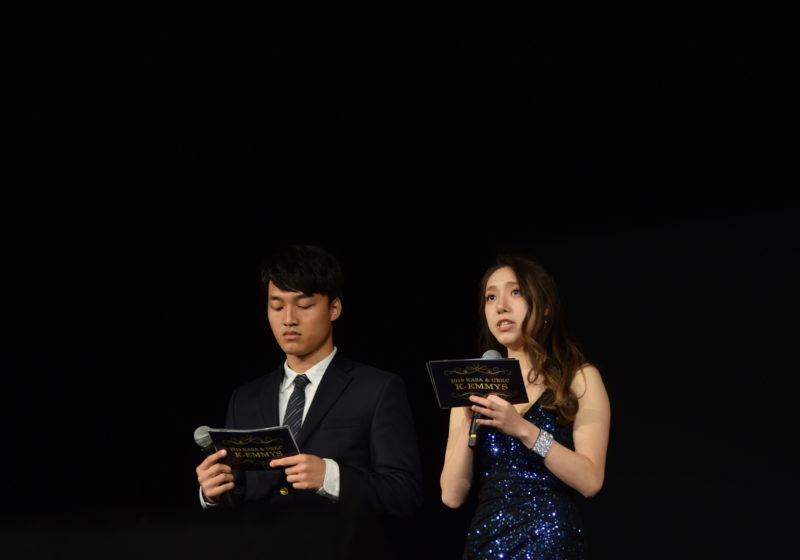 Despite that, the students interviewed—and many more—show that the two have failed to reach a substantial portion of those they serve. And the views of those students, interview after interview, are strikingly clear: None plan to donate a penny to the school. Editor-in-chief Aurek Ransom contributed reporting to this piece. Jason Altabet is a member of the Class of 2017. A healthy amount of skepticism might save you next time from sprinting out of class to your room to hide your bong from dogs that aren’t coming.